Americans have seemingly been conditioned to classify all carbohydrates as bad. Certain diets, like the Atkins diet, have created a bad rep for carbs, but there needs to be some distinction. Whole grains, a type of carbohydrate, are actually essential to our diet and have been central to the diets of several cultures around the world since ancient times. It’s typical in Japanese culture, for example, to eat a carb-heavy diet consisting of lots of rice. Yet, most Japanese people are very thin, so explain that Atkins! There are so many whole grains to choose from, some which may sound unfamiliar. I recommend experimenting with different whole grains to see what you like. Make whole grains a part of your daily diet and aim for at least three servings a day. Whole grains have many health benefits, but are linked to reducing the risk of heart disease, certain cancers, and diabetes. FYI- sugary cereals like Lucky Charms, although advertised as “magically delicious” and made with whole grains, does not count! Those cereals, and similar products, are processed and full corn syrup, corn starch and sugar (bad carbs!) and don’t have the same healthful effects as unrefined grains. The same goes with oatmeal. Oatmeal is one of my favorite breakfast dishes and can be very healthy, unless you’re eating the packaged instant oatmeal that’s filled with sugar. Try steel-cut oats instead and top with fresh fruit. Just remember, the more processed something is, the less healthy it is. *Note- When choosing whole grain foods, be weary of false advertising words like multigrain, 12-grain, stoneground, high fiber, enriched, wheat flour, whole wheat and whole grain (surprise!). Look for 100% whole wheat instead. “Bad” carbs generally consist of processed foods, like breakfast cereals, crackers, cookies, fried foods, white bread (vs. 100% whole grain bread), etc. “Good” carbs are those which are full of fiber, like vegetables, beans, fruits, and whole grains. Whole grains should be consumed daily. Some unrefined grains you may not have heard of, but are now becoming more common in regular supermarkets. Although some of the names of the following grains may sound unfamiliar, give them a shot and possibly try out some of the recipes I’ve provided. Quinoa– mild, nutty, slightly bitter. A gluten-free option that’s extremely versatile and can be used in salads, pilafs, stuffings for meat or vegetables, soups, stews, porridge and desserts. An ancient grain of South America full of protein and dietary fiber, quinoa has been linked to reductions in the risk of cardiovascular disease, certain cancers and type 2 diabetes. Rinse before cooking to remove the bitter coating around the grain. Amaranth– herbaceous, grassy, sticky. Gluten-free and is used in porridge, salads, soups and stews. Originally grown by the ancient Aztecs, Incas and Mayans, and still cultivated in Mexico. Buckwheat– Earthy, dark, slightly meaty. Gluten-free and is used in risotto, salads, pilafs, soups and granola. Use buckwheat flour for pancakes or other baked goods. Found mainly in Russia and China. Brown Rice– nutty, slightly sweet, chewy. Gluten-free and used in salads, risottos, pilafs, stuffings, stir-fries and rice desserts. There are now brown rice pastas being sold and I really like them. A main dish in Asian culture. Millet– Buttery, corn-like. Gluten-free and used in pilafs, salads, stuffings, porridge, soups, stews, desserts and to make polenta-like dishes. A typical grain eaten in Africa and Europe. 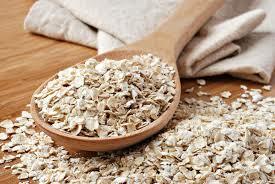 Oats– creamy, slightly sweets, toasty. Made in granola, porridge, baked goods, and coatings (instead of bread crumbs). A typical grain of Scotland. Kamut– buttery, nutty. Used in salads, pilafs and stuffings. Flour is used for baked goods like bread and pasta. This grain originated around Egypt and has more protein than common wheat. Spelt– Nutty, slightly earthy, chewy. Good with Mediterranean flavors like basil, olives, tomato, cheese and eggplant. Used in salads, pilafs, and stuffings for meat or vegetables. Spelt flour is used in bread, pasta, baked goods, and desserts. Farro (cracked)– nutty, mild, slightly chewy. Ideal with Italian flavors and used in salads, pilafs, risotto, stuffings, stews, soups and pasta. This grain is believed to predate all other grains and originates with the people of the near East and Mediterranean. It’s currently grown mainly in Italy. Farro is often soaked overnight to soften the grain and to reduce cook time. Pearl Barley– nutty, slightly chewy. Used in salads, pilafs, risotto, stuffings, soups, stews, and sweet desserts.